Home / Resource Center / Why an I.J. White Blast Freezing and Chilling System? 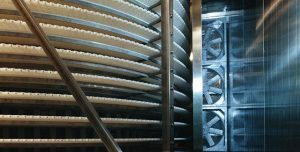 THERMAL-PAK® and PURE-AIR® represent the Baking and Food Processing Industries most innovative solutions in blast freezing and chilling. Exceeding the stringent requirements of our customers: Cost-Efficient, Long-Life, Energy Efficient and Customized to Their Final Application. I.J. White Spiral Blast Freezers and Chillers are designed for hygiene, high-efficiency and reliability. From ready-meals to muffins and cookies to par-baked or fully cooked products, we engineer solutions to ensure correct product temperature discharge on continuous production lines. For more information on how THERMAL-PAK® and PURE-AIR® Spiral Blast Freezers and Chillers Contact us Today!